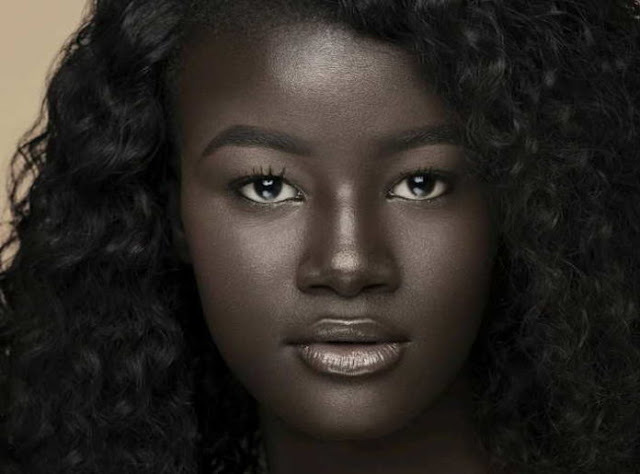 19-year old Senegalese model Khoudia Diop has gained a lot of popularity over the last year on Instagram. To date, she sits at just over 400,000 followers. She takes amazing photos, but it's her beautiful glowing skin that's attracted attention from viewers worldwide. But at one point in her life, the 19-year old model wanted to bleach her skin. In an interview with OkayAfrica, Diop discusses what it felt like to live with darker skin at a young age. She also speaks on how many of her childhood bullies now ask her for advice. "I struggled a lot with my self-esteem. I hated myself for years...the beauty standard is still like, the lighter your skin is, the more beautiful you are. It's very sad because it affects dark skin women so much that skin bleaching is a huge, huge problem." Watch the video below and share your experiences/challenges with your skin below.